When a photographer gets a new lens it’s almost as if they got a completely new camera. As a creative, it’s really exciting to have a perceptual shift like that – a new window to peer out into the world. I grabbed your standard fast 50mm f/1.8 and WOW do I love this shallow depth of field. 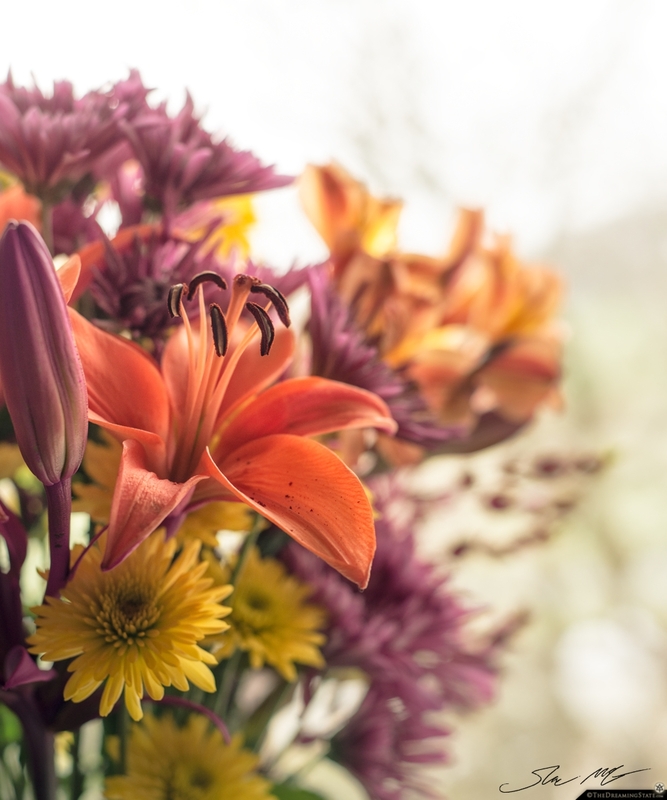 I have always been more of a wide angle guy with my 35mm f/1.8, and so viewing the world through a 50mm is a whole new thing… In testing it out, I shot this quick image of some flowers on my windowsill. On a side note, I strongly believe everyone should have a budget for biweekly fresh flowers. They just make life happier. I am exactly this old right now. 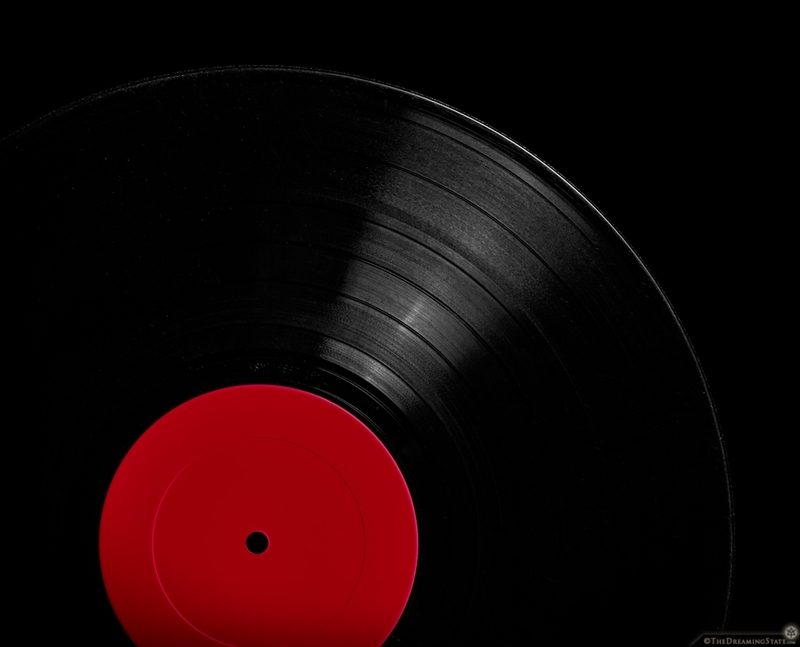 Stay tuned for future vinyl related posts when I turn 45 and then 78… On my birthday back in December, I wanted to say I was the same age as the rotations per minute of an LP, but that wasn’t true. I still had to wait another 1/3 of a year. Finally, I can say that my age is exactly that of an LP record… Someone had told me that they never heard anyone else describe their age in such a way, and so I felt this idea had something to do with art. I have been enjoying sculpting in virtual reality (using MasterpieceVR) but always made things from my imagination. I wanted to try to make something complex by looking at reference images. 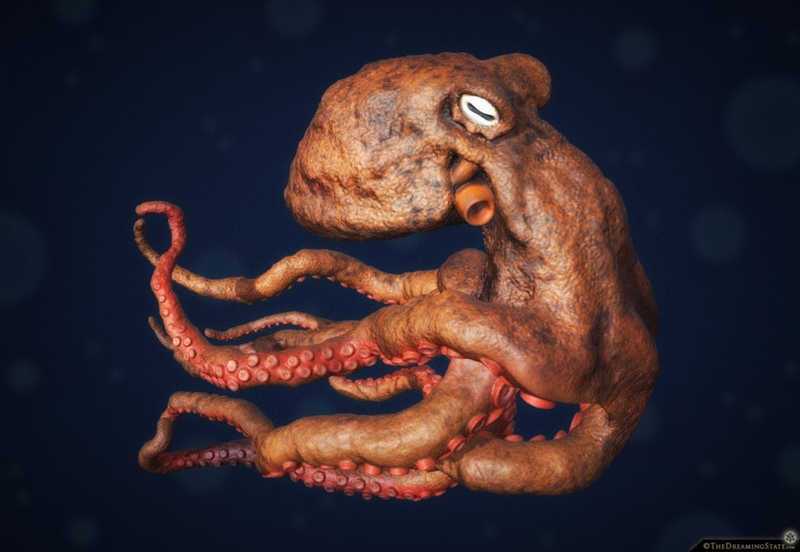 I downloaded a bunch of photographs of octopi and went to work… Here is my first attempt at sculpting, coloring, and texturing in virtual reality while using reference photos. Masterpiece VR is such an intuitive and powerful creation tool, it’s blowing my mind! This is the Giant Pacific Octopus, the largest and longest living of all octopi. Some can be over 30 feet long! That’s crazy!